Peles Castle - summer residence of Romanian royal family - was one of the most modern castles of its times. 10) Matsumoto Castle – Japan. The stars were Adrien Brody and Rachel Weisz and the movie received 3 Oscar nominations. Take a tour of the adorned saloons. You will admire a large number of statues, vases, fountains, mosaics and other art exhibits hosted within it. The story about the secret passage will captivate you. And so it will do the hand carved teak set received as gift by Their Majesties. Started in 1873 in an idyllic setting, the fairy tale construction was quite an international undertaking. “Italians were masons, Romanians were building terraces, the Gypsies were coolies. Albanians and Greeks worked in stone, Germans and Hungarians were carpenters. Engineers were Polish and the stone carvers were Czechs. The Frenchmen were drawing, and the Englishmen were measuring…” Queen Elisabeth of Romania was writing at that time. Apparently, there were 14 languages heard among the workers. Peles Castle’s architectural style is a Neo-Renaissance of romantic inspiration. Its correspondent in the 19th century ideals would be the monumental Gothic Revival of Schloss Neuschwanstein in Bavaria. Architects Johannes Schultz and Karel Liman designed it. And famous interior designers J. D. Heymann of Hamburg, August Bembé of Mainz, and Berhard Ludwig of Vienna decorated it. * politicians and artists (George Enescu, Sarah Bernhardt, Jacques Thibaud or Vasile Alecsandri). Queen Elizabeth of Romania – known to literature as Carmen Sylva – often had the last ones as guests. In 1953 the castle became a museum. It shelters one of the most valuable and most important painting collections in Europe: almost 2,000 items. Between 1975-1989 communists declared the entire area state protocol interest area and closed it. But Nicolae Ceausescu did not like the castle very much so he rarely visited it. In 2007, King Michael I of Romania has regained the ownership over Peles estate and extensions. Born on October 25, 1921 in Sinaia, King Michael I of Romania was son of King Carol II and Queen Helen. His first reign started in 1927, after the death of his grandfather King Ferdinand I. After King Carol II came back to Romania’s throne, his mother Queen Helen left the country. So King Michael remained in the care of his father. When the latter abdicated in 1940, he became again King Michael I. In December 1947 communist authorities forced King Michael to abdicate. Signed under threat, the abdication act is illegal, invalid and never passed the Romanian Parliament. After an exile that started in 1948, the King returned to Bucharest in 2001. Since 2004, King Michael and Queen Anna lived in Aubonne, Switzerland. When coming to Romania, they used to reside at Savarsin Castle or at Elizabeta Palace in Bucharest. In the early 20th century, Elena Lupescu became the lover of Romania’s King Carol II. So on one occasion the king gave her a pair of large pearl earrings as a gift. In 1977 one of her English friends inherited them. This had no idea of their value and didn’t particularly like them. So she left the royal gift forgotten in a drawer for 35 years. Out of curiosity, current owner had them valued for auction together with other heirlooms, being astonished to discover their value. They fetched just under EUR 2 million at auction (2012) ! Swiss Gemological Institute described the pearls as outstanding examples, worthy of special attention. Known as ‘Pearl of Orient’ the rose/blue iridescence is particularly sought after. Both the size and color of the large pearls match, which is apparently quite rare. 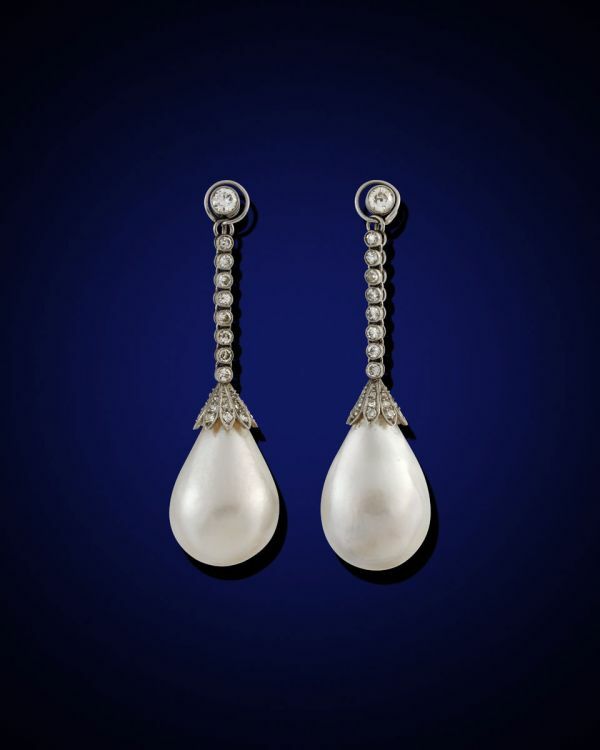 Auction house Woolley & Wallis estimated the earrings’ between about EUR 100 – 150,000. But the price went up and up as bidders, dead set on owning the royal pearls, refused to back down. Thus both the auction house and the vendors were absolutely thrilled with the result.